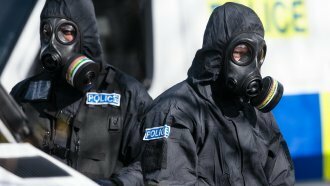 Yulia Skripal, the daughter of a poisoned former Russian spy, has woken up. Yulia Skripal is awake and says she's getting stronger every day. In a statement released on her behalf by London's Metropolitan Police, Skripal said she woke up a week ago and is "grateful for the interest in me and for the many messages of goodwill that I have received." Skripal and her father were poisoned by a nerve agent and found slumped over on a park bench in Salisbury, England, on March 4. Her father, Sergei Skripal, is a former Russian intelligence officer who gave British intelligence agency MI6 classified Russian information for a decade. As of Thursday morning, there was no update on his condition. Yulia Skripal said in the statement "the entire episode is somewhat disorienting," and she asked for privacy for her and her family.